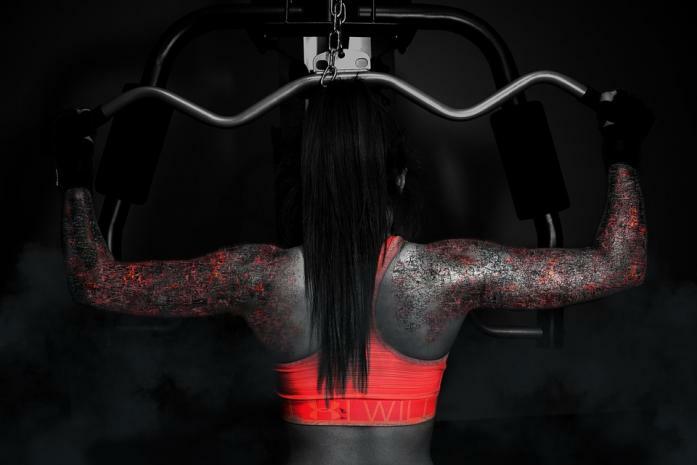 Women can use pre-workouts to intensify training, build lean muscle and accelerate fat loss. But many pre-workouts are male-oriented: Harsh ingredients, big doses and dirty labels that don’t appeal to health-conscious women. In this guide, we discuss how the best pre-workout supplements for women in 2018 take a different approach that instead emphasizes high quality, clean labels and superior fitness results. Click here to jump down the page to our analysis of why these pre-workouts for women are the Best 5, along with details on where you can buy them and find the best prices and deals. Or, read on to learn about what women should look for in pre-workout supplements to unlock their maximum fitness-boosting potential. Why do women take pre-workout supplements? Top ranked pre-workout supplements can help women tone muscles, lose fat, increase blood flow, maintain lean muscle mass and other goals while working out. They may be taken before crossfit, Zumba, HIIT, strength training or other regimens. They usually come in capsule, tablet, or powder form. Pre workout stacks work by targeting numerous aspects of physical and mental health. We’ll talk more about these benefits below. 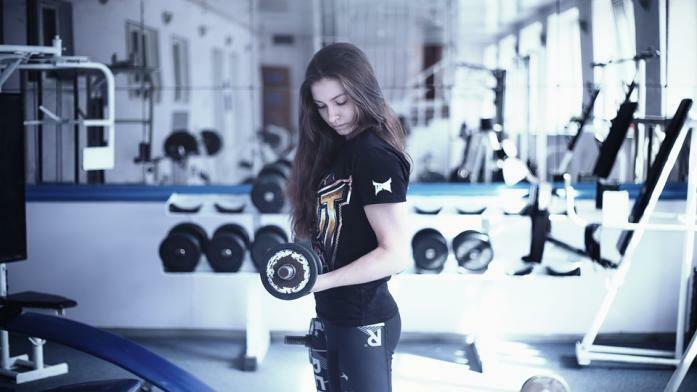 Increasing muscle mass and toning muscles are some of the main reasons women take pre-workouts. Pre-workout supplements for muscle building and toning tend to work by increasing muscle protein synthesis or MPS while decreasing muscle protein breakdown or MPB. Popular sports nutrition supplements that help with gaining and toning muscle may contain nutrients called branched-chain amino acids (BCCAs). They can be found in pre-workouts, protein supplements, post-workouts and as standalone products. BCCAs are vital amino acids that can also be found in foods, which is why some are skeptical about taking them in supplement form. 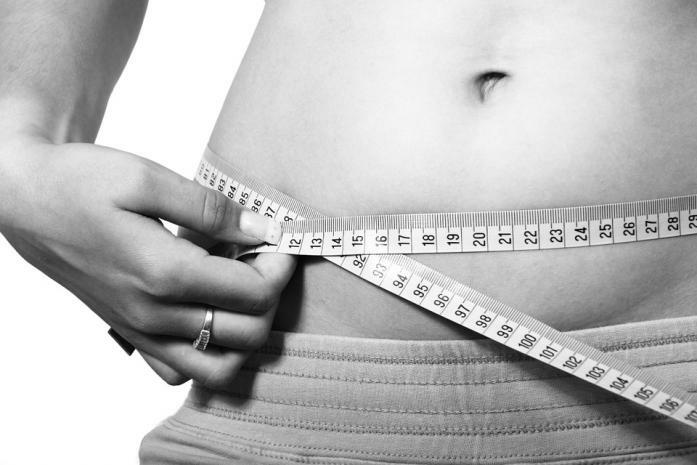 However, they may be helpful for women on any type of low-protein or fasting diet. In addition, experts and researchers have suggested that we need enough of every amino acid to stimulate significant muscle protein synthesis, not just BCCAs. So, women should look for as many amino acids as possible in their pre-workouts. Pre-Workout supplements can help women to burn fat. They usually do this by boosting workout intensity. Better training helps calorie-burning and muscle-building. Both these angles can help with women’s weight loss. Did you know? 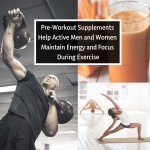 The pre-workout supplements in this guide can be stacked with our top-rated Fat Burners for Women to achieve high-intensity fat-blasting workouts that deliver great body sculpting results. Many pre-workout supplements help women improve blood flow by increasing the production of nitric oxide in the body. Nitric oxide is a compound that helps us increase muscle pumps. A muscle pump is the feeling of compression during training. Pumps are linked to blood flow and peak performance. Numerous pre-workout supplements also enhance energy to boost overall motivation and performance. Ingredients known for their energizing effects include caffeine, cordyceps, CoQ10 and L-Citrulline. So, women looking for an energy boost in their pre-workout supplement should keep an eye out for these. Improving motivation, attention and cognition can also increase our intensity for maximum muscle gains and fat loss. As a result, certain brain-boosting supplements or nootropics target motivation, attention and overall cognition to increase performance intensity and gains during workouts. They can do so by moderating alpha wave activity and mediating reactions to stress by altering inhibitory and excitatory neurons. For example, some supplements moderate epinephrine and dopamine to help us focus. Which Pre-Workout Ingredients are Most Effective for Women? Creatine is an organic compound found in muscle. It helps increase ATP energy, which supports muscle contractions. ATP energy and creatine are depleted during intense workouts, which is why creatine supplements can be so helpful. Creapure® pH10, then, is a form of creatine monohydrate that is 99.5% pure. It’s built to boost the availability of nutrients in our brains and bodies. It may also decrease symptoms of bloating and gas associated with other types of creatine. All in all, Creapure® pH10 is a high quality, pure and highly safe form of creatine women may want to look for in their pre-workout supplements. L-Citrulline is one of the best amino acids women should look for in pre-workout supplements. One study on L-Citrulline shows it can reduce “arterial stiffness“. This may help boost performance. L-Glutamine is known to help reduce soreness and increase recovery time after a workout. It’s the most available amino acid present in the human body, actually. Among other things, L-Glutamine helps boost protein metabolism while providing the oxygen necessary to energize muscles as well as help them grow and repair themselves. It can also help remove lactic acid from muscles, which may help improve stamina during workouts. L-Glutamine does this by increasing blood levels of the alkalizing agent bicarbonate. L-Glutamine may even help counteract the effects of intense training by enhancing growth hormone levels, which creates antioxidants that defend against immune issues during exercise. Classified as a dipeptide molecule, L-Carnosine is most available in the muscle tissues and fibers. It helps protect muscles by neutralizing oxidative stress, buffering protein damage, and regulating pH within cells, which can reduce the negative effects of certain acids (such as muscle damage). One specific study shows L-Carnosine has “antioxidant properties,” which is part of how it boosts exercise performance. Himalayan Pink Salt is an effective pre-workout ingredient because it may help replenish depleted electrolytes. Pre-workouts that contain Himalayan Pink Salt can be taken before intense workouts to help prolong muscle fatigue and improve intensity while we sweat, which is what causes electrolyte depletion in the first place. In addition, this salt is the perfect complement to the ingredients L-Glutamine, L-Citrulline and L-Carnosine, which are all found in the Performance Lab® SPORT Pre-workout. It maximizes our capacity to absorb these ingredients, which helps us increase muscle gains. Maritime Pine Bark Extract is an herbal compound known to supply antioxidants and thus nitric oxide. Nitric Oxide makes it easier for oxygen and nutrients to reach the muscles, ultimately enhancing workout performance. Maritime Pine Bark Extract also provides proanthocyanidins, which are antioxidants that may help women reduce inflammation and oxidative stress reactions while working out. One overview of the supplement says it can even help relieve premenstrual symptoms in women. Astragalus is a traditional Chinese herb that helps moderate stress reactions during physical exercise. An animal study shows it may also help lessen the amount of ammonia and lactate accumulated in the body while working out. Ammonia and lactate are both produced and left over in the body after exercise, which can create negative effects. As such, Astragalus may help women looking to rid their bodies of counterintuitive chemicals. Beetroot is a heavily researched juice supplement containing high concentrations of the nitric acid nitrate. Nitrate actually converts to nitric oxide in the body, therefore increasing blood flow and balancing out blood pressure for better performance. Essentially, nitrate can help women work out for longer periods of time using the same amount of oxygen, which can increase intensity and muscle gains. Rhodiola Rosea is an herb that has consistently shown to enhance performance during endurance exercise. It does so by decreasing our heart-rate response to exercise and reducing the brain and body’s awareness of expending effort while we work out. Rhodiola Rosea has also shown to increase the number of antioxidants in our plasma, which can reduce fatigue and inflammation caused by intense workouts. L-Leucine is an amino acid found in certain pre-workout supplements. It helps with the production of protein and supports a healthy functioning metabolism in women. In addition, L-Leucine helps to balance energy and maintain levels of nitrogen. By far the most popular pre-workout ingredient for boosting energy and alertness, caffeine is favored by female bodybuilders and women seeking intense training support. While caffeine is reliable and effective, some women don’t like its jittery side effects. These women are advised to avoid it, or combine it with the nootropic L-Theanine which helps smooth out its effects. Bioperine® is the patented form of piperine, another amino acid found in black pepper. It’s known to increase the production of nitric oxide while postponing fatigue in women and men. It may also help increase muscle pumps and improve stamina by ensuring the muscles absorb the nutrients they need to thrive. What Pre-Workout Supplement features do Women want? Women tend to prefer safe, healthy pre-workouts with no additives, artificial colors, flavoring or preservatives. Many women also prefer vegan and caffeine-free supplements, all of which will be discussed below. Female, vegan athletes and exercisers tend to supplement vital nutrients with pre-workout supplements because they don’t eat animal products. However, even for vegan and nonvegan women who do get enough nutrients in their diets, vegan pre-workouts have shown to help increase workout gains. For example, women can use vegetable protein supplements that provide protein via soy, hemp and/or rice instead of animal proteins. In fact, rice protein has shown to elicit the same effects as Whey, which contains animal protein. 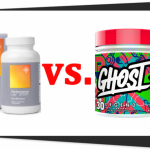 On the contrary, women looking for vegan supplements should avoid pre-workouts that contain gelatin, magnesium stearate, lanolin, bee pollen, carmine, caprylic acid, and lipase. Women also lean toward pre-workouts with no artificial flavors, colors or preservatives. They look for clean supplements with the least amount of additives because they are aware of the harm these additives can cause. For example, additives and preservatives have been linked to hyperactivity and other negative mental and physical side effects. Some women prefer caffeine-free workouts because caffeine can cause jitters and interfere with attention during and after workouts. Specifically, caffeine, especially taken in excess, can cause headaches, insomnia, muscle tremors, irritability and stomach issues. Hence why many women prefer pre-workouts that provide energy in healthier ways. For instance, creatine has shown to increase energy metabolism for workouts without the negative side effects of caffeine. Our top-ranked stim-free energy booster supplement may be combined with a pre-workout to further support training intensity without jitters and crashes. For general information on purchasing high-quality supplements, please check out the Best 5 How to Buy a Good Supplement guide. 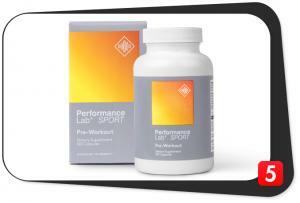 Performance Lab SPORT is the cleanest, safest, and most effective pre-workout on the market for women. It is also presented in premium prebiotic-infused Plantcaps capsules that help with absorption and comfortable digestion — something that many women are looking for. As for benefits, stim-free Performance Lab SPORT Pre-Workout helps with workout energy, blood flow, hydration and muscle growth — for healthy, fat-blasting, body-sculpting training sessions. 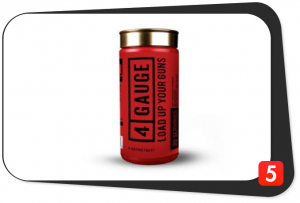 Female bodybuilders seeking greater intensity and stimulant power in their pre-workout will appreciate the design of 4 Gauge. Its smart formula combines 150 mg caffeine with 200 mg of l-theanine, for great workout energy, focus and drive with fewer jitters. Men and women both love this pre-workout supplement, but the 4 Gauge testimonials page features a couple of especially compelling success stories from women. Clean Label: Yes. All-natural and no synthetic ingredients. Advanced Delivery: No. This product utilizes regular pre-workout powder. 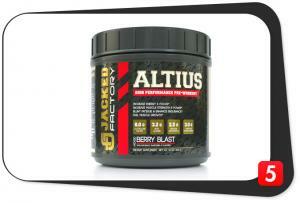 Altius Pre-workout is a clean, clinically dosed pre-workout with no artificial food-dyes or fillers. In other words, it is right in line with what many women are seeking in a pre-workout supplement. It is known to help muscles grow, increase strength, boost stamina and increase concentration for maximum gains. It also contains some advanced ingredients including Bioperine® and Alpha-GPC. Advanced Delivery: No. Powder that can be mixed with water. 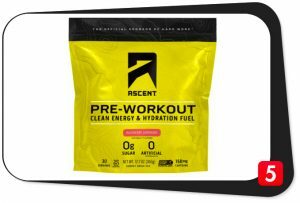 Ascent is a clean, gluten-free pre-workout containing no artificial flavors or added sugar. Ascent is known to enhance energy, increase hydration and optimize muscle prep for the most efficient workout possible. It is one of the best pre-workout supplements for women who are seeking extra protein prior to training. White Flash cultivates mental focus, muscle pumps and blood flow for optimized workout performance in women. It uses ingredients like L-Citrulline, Astragen® and Lion’s Mane Mushroom to get the job done. It also contains additional nutrients that are beneficial for women including B vitamins. White Flash may be the best pre-workout for women who are seeking extra support for focus and mental clarity during their workout. The best pre-workout supplements for women can significantly help with fitness goals. Women gravitate towards formulas with the least amount of harmful chemicals and counterintuitive nutrients. They use pre-workouts to burn fat, tone muscle, and enhance cognition for optimal gains the same way men do. 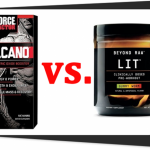 It’s important to do your research or consult a professional to find the safest, healthiest pre-workout formulas for your specific body and mind. 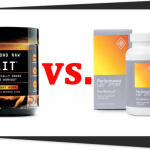 You can also take a look at our B5 pre-workout reviews and our list of the best pre-workout supplements to find exactly what you’re looking for in a pre-workout stack. Wolfe R. Branched-chain amino acids and muscle protein synthesis in humans: myth or reality? J Int Soc Sports Nutr. 2017; 14: 30. Published online 2017 Aug 22. Laughlin MH, Schrage WG. Effects of muscle contraction on skeletal muscle blood flow: when is there a muscle pump? Med Sci Sports Exerc. 1999 Jul;31(7):1027-35. Hipkiss A et al. Carnosine: can understanding its actions on energy metabolism and protein homeostasis inform its therapeutic potential? Chem Cent J. 2013; 7: 38. 2013 Feb 25. Noreen EE et al. The effects of an acute dose of Rhodiola Rosea on endurance exercise performance. J Strength Cond Res. 2013 Mar;27(3):839-47.